The Ankur Resort is the finest place to stay in Ranthambhore. 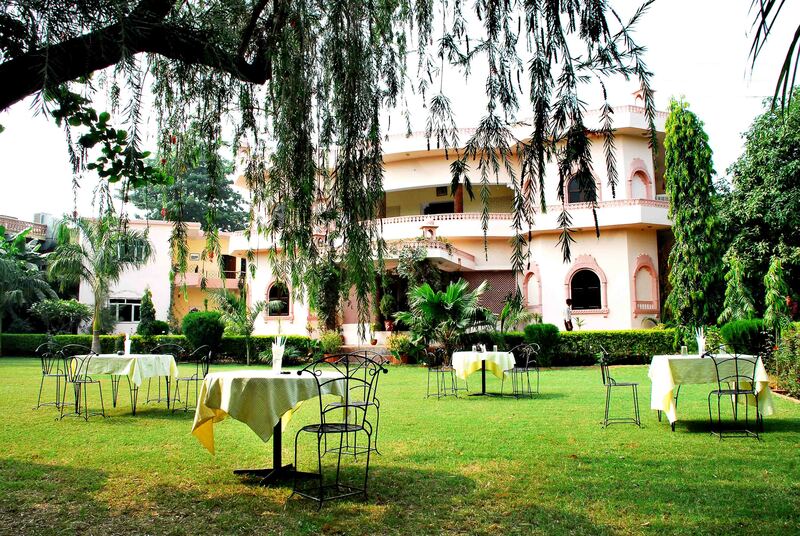 Nestled in green trees, this resort is located close to the famous Ranthambhore National Park (Sawai Madhopur). The Ankur Resort is the finest place to stay in Ranthambhore. Nestled in green trees, this resort is located close to the famous Ranthambhore National Park (Sawai Madhopur). If you are visiting Ranthambhore Ankur Resort is the best place to stay as this resort is very close to all the important destinations. You can unwind and relax in the scenic beauty which surrounds this resort. You can enjoy trouble-free admittance to all the significant destinations which the city has to present. In Ankur Resort you can enjoy a relaxing atmosphere. This resort is an ideal place to enjoy with your family and makes you feel at home away from home. You can enjoy breathtaking view of ocean, lush green gardens and fully manicured lawns by sitting in the balcony of your room and be close to the natural environs. The sixty elegantly designed luxurious rooms in Ankur Resort are spacious and fully air-conditioned. There are 40 air conditioned cottages and 20 air conditioned deluxe rooms. All the rooms are well decorated and spacious which will make your trip happy and comfortable. In Ankur Resort you will have a comfortable holiday experience. The rooms are clean and tidy. You can listen to the soft strains of flowing water and musical tweet of strange birds from the balcony of your room. All the rooms are fully equipped which offers the best respite to visitors. All the chefs of Ankur Resort are well trained, friendly and serve the guests around the clock. You can enjoy both Indian and International cuisines. The bar serves all alcoholic and non-alcoholic drinks. You can enjoy your evening here with drinks and light music. Freshly cooked delicious food is served to all the guests. In fact, you can enjoy bar-b-que also in the open. The dining area is beautifully designed and is surrounded by lush green gardens to give it a natural ambience.